Mix-Tape is a curated screening and performance event. 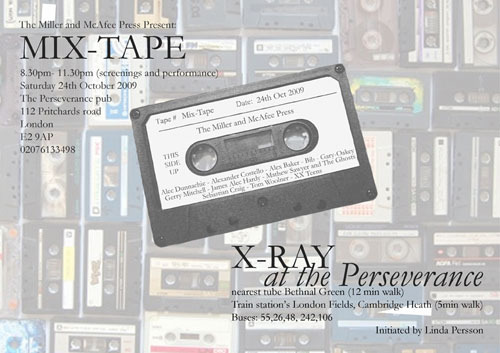 It took place as part of the X-Ray and The Perseverance series initiated by Linda Persson. Click on the image to visit the Mix-Tape YouTube channel to see the films, now part of a growing archive of artists' music videos. Please also contact us to suggest further additions to the archive.